The case, in 18kt rose gold, measures 43mm. 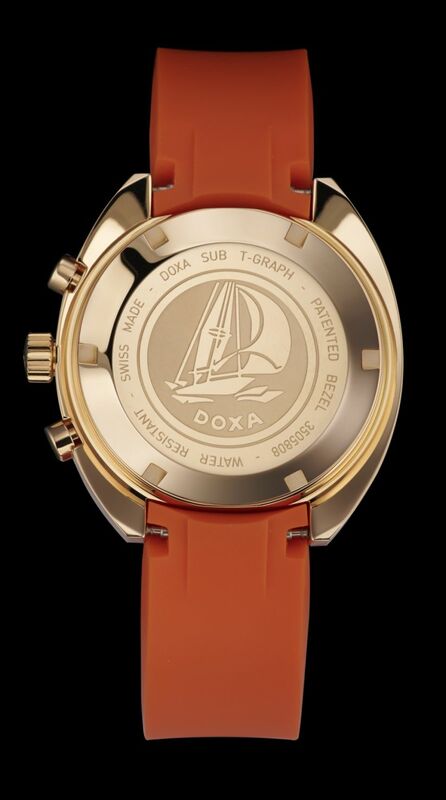 It has a sapphire crystal, a sailboat engraved caseback, and it is water resistant to 200 meters. 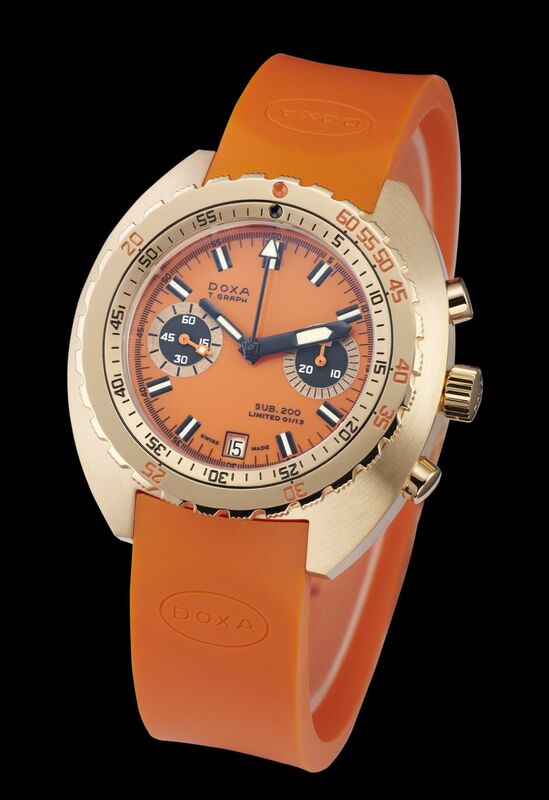 Patented uni-directional rotating bezel with dual indication of the dive time in minutes and the depth in feet for a no-decompression ascent. Movement is the Swiss manual-wind New Old Stock Valjoux 7734 with 17 jewels, 18,000 vph and a power reserve of 45 hours. Each caliber has been thoroughly examined, overhauled and reconditioned before being fitted into the case. It has a semi-matte orange dial with black applied indices, and black baton hands, both with SuperLuminova "Light Old Radium". 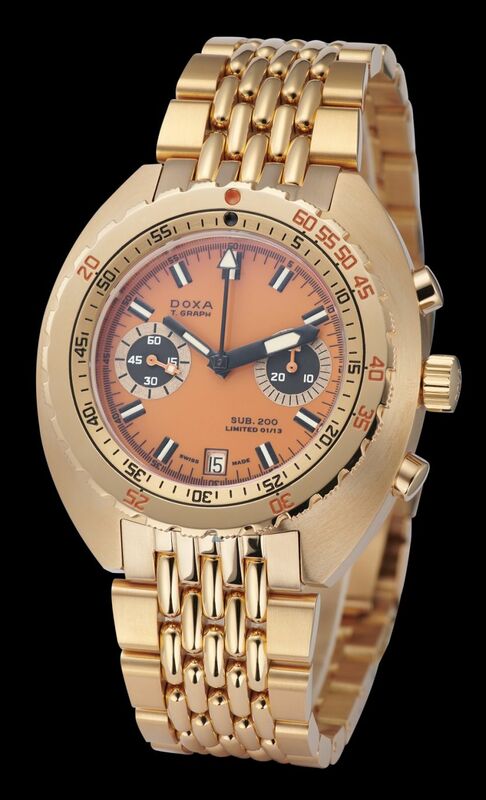 It comes on a 20mm orange rubber strap with an 18kt rose gold buckle or with an 18kt rose gold grain mesh bracelet.